This Holy Rosary Catholic Church was constructed in the early 1940's and had a later addition constructed in the mid-1940's. 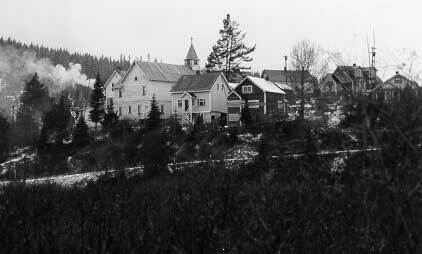 It was the second Catholic Church in Wells, the first was sited on the tailings and later moved uptown to be changed into a house. Father Keen, an Irishman, was the first priest. It has now been renovated and houses the art gallery and gift shop of Claire Kujundzic and Bill Horne, two very well known local artists.